Product Review: JerkySpot.com | The Food Hussy! 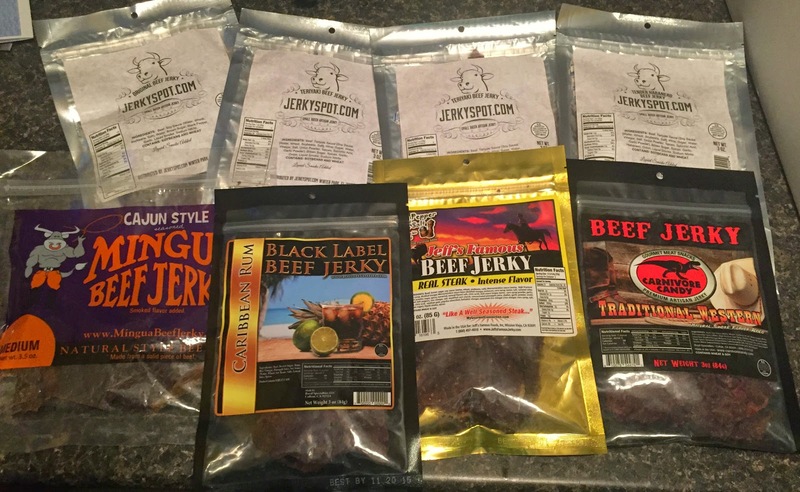 The friendly folks at JerkySpot.com reached out to me to see if I would be interested in checking out some of their products. My husband and I both are jerky fans so I jumped at the chance! JerkySpot.com has all kinds of jerky products - many flavors which you'll see below - but also gift baskets and spices/products to make your own jerky at home! They have every kind of jerky you can imagine - besides beef they have lamb, salmon, turkey and even python! JerkySpot.com sent me an 8 bag sampling of a variety of beef jerky flavors and brands. Everything from black pepper to teriyaki and a little of everything in between. Some was branded and others was their own JerkySpot.com brand. 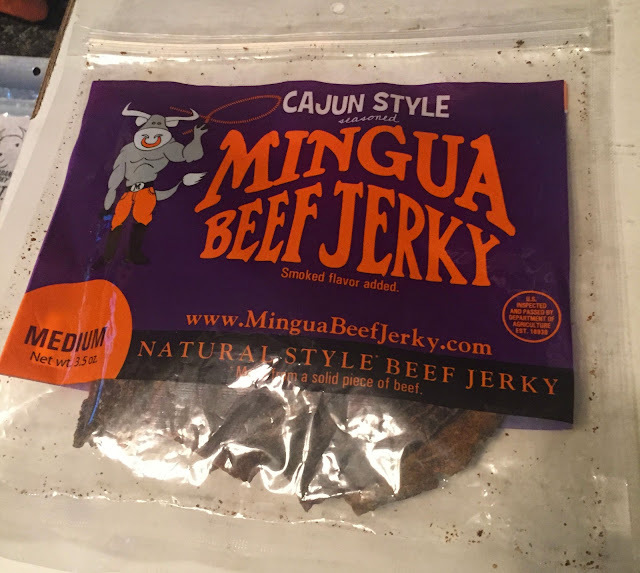 Mingua's Cajun Style Beef Jerky was interesting - it's a bit harder than the rest of the jerky. It's very thinly cut. 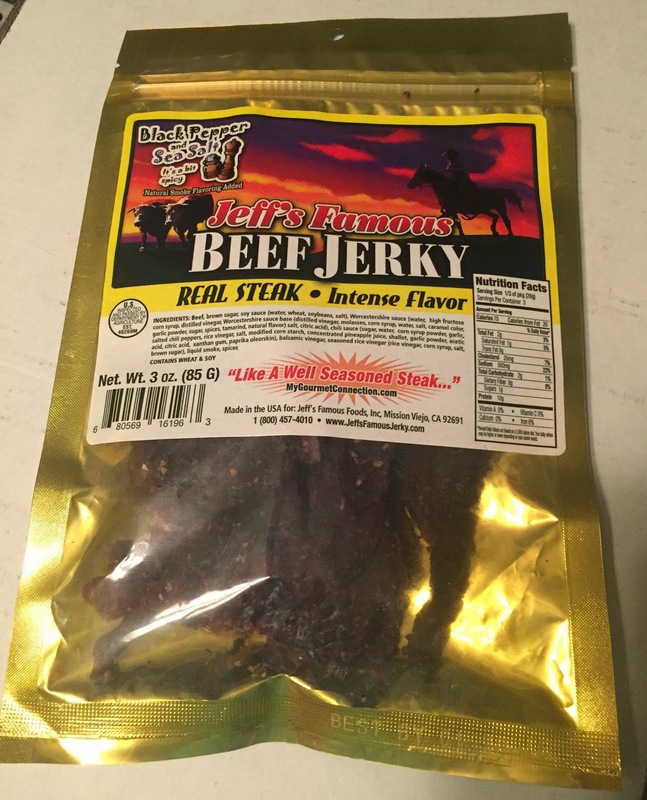 If you're looking for a jerky with a kick - this is definitely it! The Cajun is not mild here - there is some spicy stuff here! The flavor was good though - so all in all I liked it. 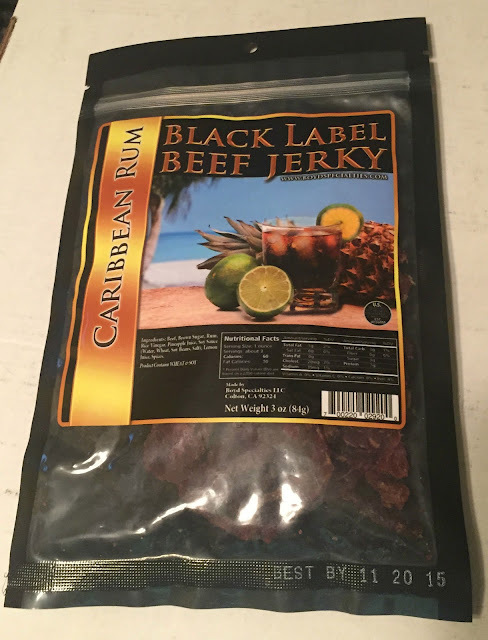 Black Label has a unique style of liquor infused beef jerky. They sent me their Caribbean Rum jerky (I wished I'd gotten the Draft Ale). The first bite - all pineapple. Then - the rum kicks in - I can definitely see my rum drinking friends like this one. I'll have you know - I tasted all of these right in a row - with an ice cold bottle of water as a palette cleanser. Next up was Jeff's Famous - black pepper & sea salt. This was REALLY heavy on the black pepper - a bit too much for me. So they aren't kidding when they say INTENSE FLAVOR. Jeff's Famous also has bacon jerky - which I was really interested in - maybe next time. The last one I tried was the JerkySpot.com brand - I tried the black pepper (again - lots of pepper) and the teriyaki. The teriyaki again has a strong pineapple flavor. All in all - it was a great experience with JerkySpot.com. The customer service was great - I put my order in and they were out of one of the jerky flavors - but called to find out what I would like in its place. 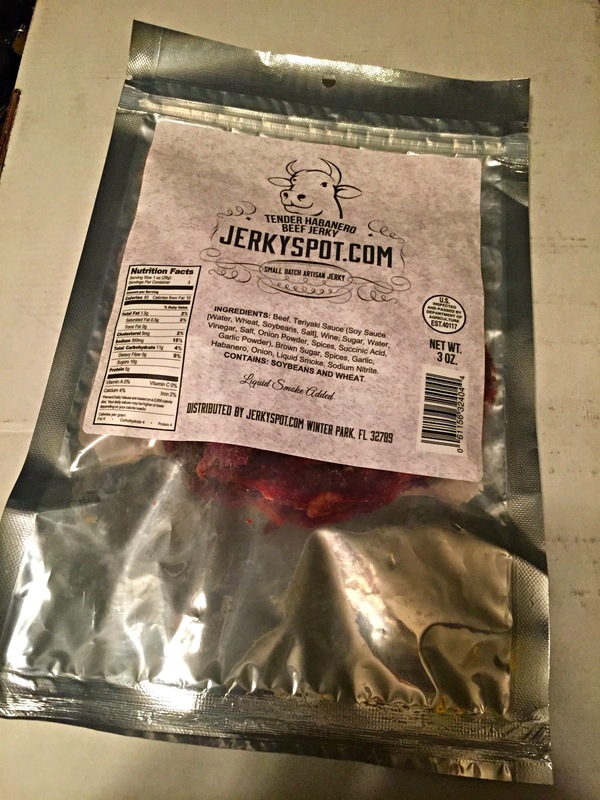 JerkySpot.com also has every flavor you can imagine - I think this would make a great Father's Day gift - what Dad isn't a fan of beef jerky? Thanks again to them for the free box of jerky - it was a big box of yum!